If you’d like to join me, just leave a comment on this post. Be sure to use your real email address in the comment form so I can contact you with the details. Don’t worry, only I can see the email you enter, it is not public. If we get more comments than the number of tickets I have available, I’ll randomly select from among everyone who comments before noon on Saturday. 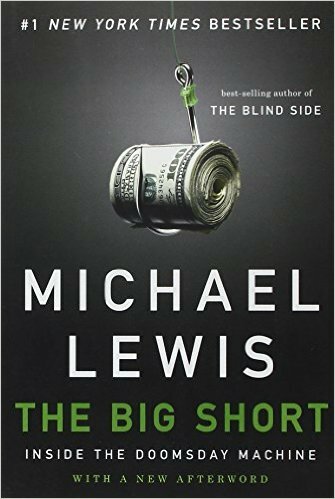 When four outsiders saw what the big banks, media and government refused to, the global collapse of the economy, they had an idea: The Big Short. Their bold investment leads them into the dark underbelly of modern banking where they must question everyone and everything. Based on the true story and best-selling book by Michael Lewis (The Blind Side, Moneyball), and directed by Adam Mckay (ANCHORMAN, STEP BROTHERS) THE BIG SHORT stars Christian Bale, Steve Carrell, Ryan Gosling, and Brad Pitt. Please only comment below if you are interested and able to attend the showing at 4PM on Monday. Sounds great… Count me in! I’d love to see the screening! How many HELOC’s should I take out to get into a mortgage? What better way to find out? Michael Lewis and The Tim? Those are two of my favorite people to read! Count me in if you have the space, thank you! I’ve got as many mortgages as the stripper in the trailer – does that mean I’m in the wrong line of work? Thanks, Tim. I would love to attend. I’ve rearranged my calendar, I’m ready. Count me in, please. Thanks! Entries are closed. I got more responses than I have tickets, so I’ll email everybody to let you know whether or not you are on the list. For those of you who didn’t make it, I will likely have an additional set of tickets for a screening a couple weeks from now December as well.